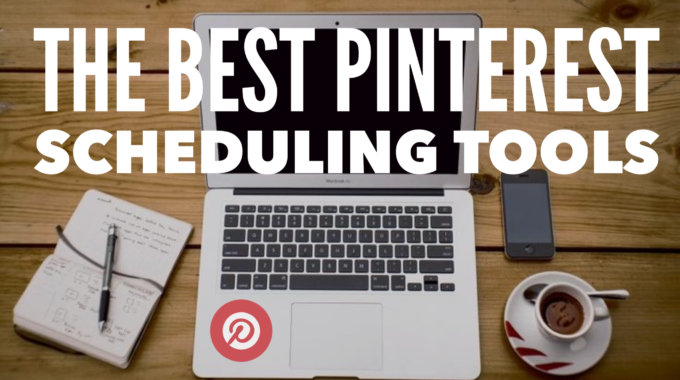 What’s The Best Pinterest Scheduling Tool? Do you need a Pinterest Scheduling Tool right for you or your business? We compare Viraltag, Tailwind and Buffer to find the best Pinterest scheduler. With almost 200 million registered users and over 100 million active users, we all recognise by the now the importance of Pinterest as a platform for reaching potential customers when using it for business, or simply as a beautifully presented format for personal use. Since the introduction of promoted Pins which has seen a huge increase in business use, many of us have considered using scheduled Pins as a way of saving valuable time and resource, so whether you use Pinterest for business or driving traffic to a blog, scheduled pinning can be an extremely useful tool, but the question is; which is the best scheduler? What is the Best Pinterest Scheduler? We take a look at three popular Pinterest Schedulers; Tailwind, Viraltag & Buffer and provide you with an overall view of each, with a recommendation for one based on features, performance and costs. Tailwind is a user friendly option packed with useful analytical features and is particularly suitable for business users. It allows a schedule to be created based on what are considered the best times of the day to post pins using their so called Smart Calendar and by creating a Smart Schedule. By using Tailwind’s Smart Queue, you can pin at the best times, so your audience gets content when they’re looking for it, when Pinners are most engaged. 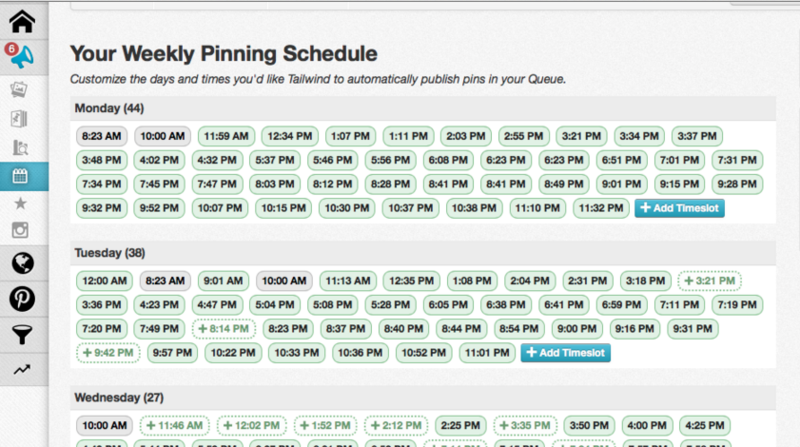 Furthermore, your pinning schedule can be optimized over time, thus maximising your coverage and reach. Once you’ve established your Smart Schedule, you can use unlimited recurring timeslots which automatically ensure you’re always pinning at the best times. You are also provided with a summary page of how well pins have performed on certain boards, which means you can easily see which pins have the most repins from a group board, and then you can decide if you want to schedule that onto one of your individual boards. Tailwind also allows you to clone pins across as many boards as you like, save groups of boards into lists, and pin to all of them with a single click. You can use smart intervals to spread similar pins apart and comply with group board rules and also boost traffic from old posts by scheduling re-pins of your best content directly from Tailwind analytics. There is no limit to the number of pins and in fact, you can bulk upload directly into Tailwind from your computer which is an amazing feature in the sense that you can bulk upload images from your computer and save them in draft mode to schedule for later. This can save you an incredible amount of time, especially if you have an e-commerce site with lots of your own product photos. An additional useful feature is that Tailwind automatically tells you if you’ve already pinned something, when you last pinned it, and which boards you pinned it to. There is also Tailwind’s mobile app which lets you manage scheduled pins whilst mobile. Tailwind features a Safari browser extension so that Pins can be posted from any website, including Pinterest itself, which eliminates the need for creating Pins completely from scratch and can be integrated with Google Analytics. Price wise, Tailwind is the mid-range of the three with a fee of around $120 per year which also gives 4 months complimentary access & an unlimited pin schedule, or you can pay monthly around $15 if you are prepared to accept a monthly limit of 400 scheduled pins. Viraltag is relatively simple to figure out and use and similar to Tailwind, offers scheduling to other social media services such as twitter, tumblr, facebook, linkedin and of course Pinterest. Useful if you are looking for an all in one system. Viraltag is easy to use with a simple dashboard interface and also offers an extension with Chrome or Safari to allow you to pin directly from websites. There is a ‘discover’ feature, which is a great way to find interesting content without even scrolling through Pinterest. You can add a selection of popular pins to your schedule from the ViralTag dashboard. 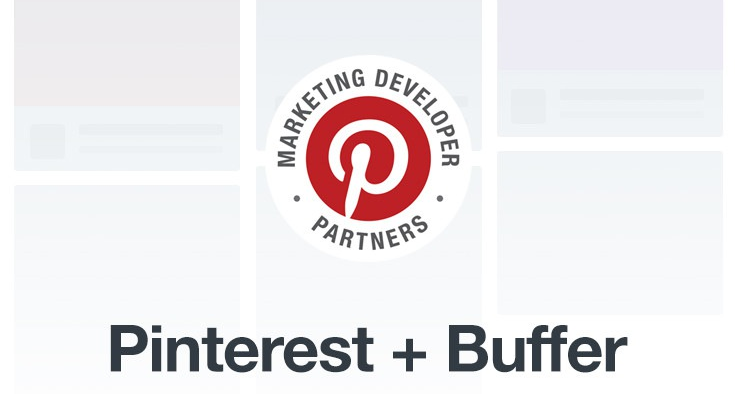 On the downside, there is no access to Pinterest boards for pinning/re-pinning, which is one major difference between Viraltag and Tailwind, so you either have to create pins from scratch with images, links and descriptions or pin them from the website extension tools. Another major differentiator between Viraltag and Tailwind is that Viraltag does not include analytics. This may not be a major issue for the majority of users who just want to use basic scheduling for keeping their Pins refreshed, but for serious business users this might be significant. Having said that, it is possible to access analytics through other platforms such as Google analytics. Up to 5 Pinterest accounts can be managed on one Viraltag account, and similarly to Tailwind, pins can be bulk uploaded via your computer, Facebook, web images, Flickr, Picasa or Instagram. Images can be customized by adding effects, overlay, text or even by cropping images to a desired size, and then the images can be easily uploaded to Pinterest whether it is saved on a computer, from the web, your other social networks or from RSS feeds. Viraltag is more expensive than Tailwind at almost $300 per year or currently $29 a month for a general paid subscription. However, there is a referral scheme which can help bring the costs down. Buffer is reputedly already used by more than 3 million people and is an App which shares your content at the best possible times throughout the day so that your followers and fans see your updates more often and you get the most out of each post, much the same as Tailwind and Viraltag. Buffer also works in much the same way as both Viraltag and Tailwind, with an additional and welcome feature of being able to manage Twitter, Google+ page and Facebook posts as well. 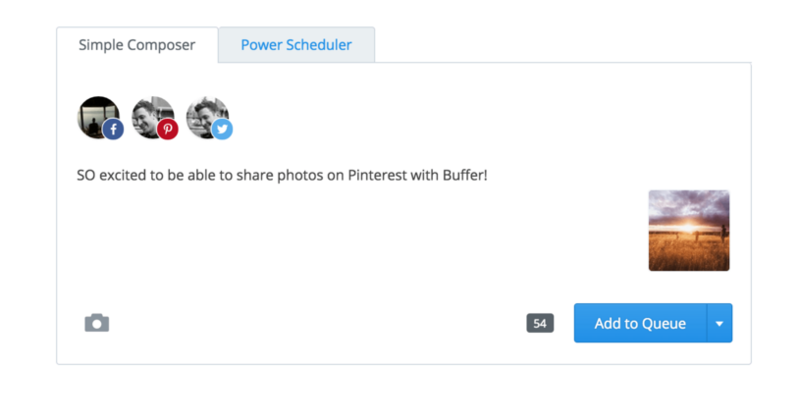 Buffer has a relatively friendly dashboard which is easy to use, and, as expected, can be scheduled to post Pins whenever you want. Buffer also has the ability to optimize the scheduled times. A browser extension is available, as well as a connection to CoSchedule which is a powerful blog post organisation tool, a differentiator between it and the others. A similar downside to Viraltag is that Buffer does not allow direct access from your Pinterest account for easy re-pinning, so you have to create Pins from scratch or use a browser extension. Also, unlike Tailwind, with Buffer you can upload images that can be used for Pinterest but there’s no bulk upload feature. This means you need to upload images one at a time, making it tough if you’re an e-commerce site with many different product shots to upload. Costs for Buffer are either $10 a month or $100 a year for a Buffer ‘Awesome’ plan, which provides access to Pinterest scheduling. It really depends on what you use it for, but for medium to heavy usage, ie business use, Tailwind comes out on top technically, due mainly to its integrated analytics and its optimized pinning schedule. Another important feature included in Tailwind and not in Viraltag and Buffer, is the ability to re-pin posts from your Pinterest boards and to actually manage this process. Tailwind will even tell you if you’ve already pinned something, when you last pinned it, and which boards you pinned it to, thus allowing you to manage which pins get re-posted and which of your lesser viewed pins should be replaced. Besides that, Tailwind is only marginally more expensive than Buffer and considerably cheaper than Viraltag, so even for personal use it’s definitely worth a trial. It really depends on which one you find easier to use and how much time you are willing to spend on familiarising yourself with all the features. Some people might not be bothered about integrated analytics, and anyway, there are other analytical tools within Pinterest itself and Google, but if you think you might need them in the future, give it a try. 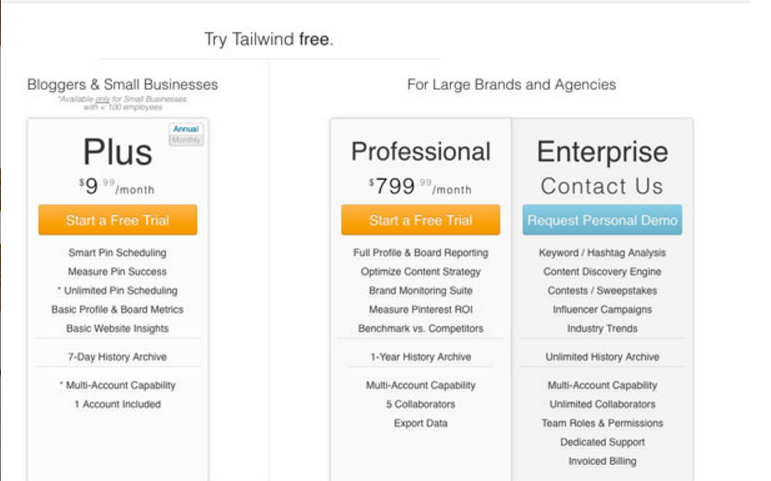 Overall, Tailwind comes out on top in our opinion, and is worth the few extra dollars investment, especially as the annual fee gives you 4 months free access and an unlimited pin schedule. Of course, all these apps are constantly developing so at some point they will be releasing updates which close some of the gaps, but then Pinterest itself is also evolving and growing so there will most likely always be room for further development of these apps and scope for further differentiating features to be introduced.